Sleeves are like hollow shaft having 1 or 2 mm thickness.They are used to guide the rolling or stationery element inside or outside it. There are two general types of sleeves inner sleeve and outer sleeve. Sleeves are integrated with rubber bush and used in vibration damping of machine component. 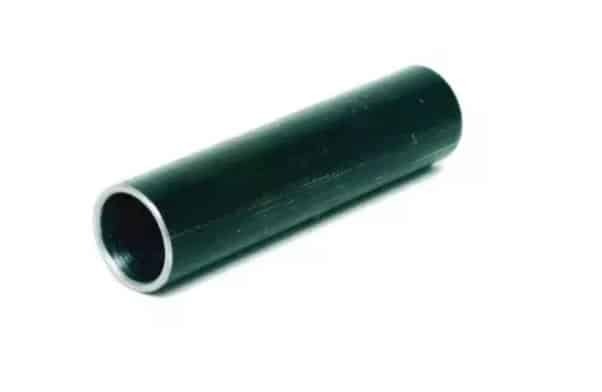 Rubber Bush alone cannot absorb the shocks and cyclic load hence sleeves are press fitted inside or outside the rubber bush to take up the loads. Sleeves not only supports the load but also guides the machine element. For wall penetrations it can be a type of strengthening. Together with packing it helps to protect from fire spread from one room to other. proprietary devices that are listed firestop components.